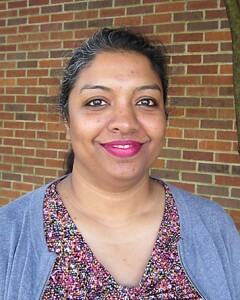 Dr. Maitreyi Das was recently awarded a four-year NSF grant entitled: Cytokinetic events that promote actomyosin ring constriction and septum formation. The main aim of this proposal is to determine how during cytokinesis the spatiotemporal activation pattern of Cdc42 enables the assembled actomyosin ring to act as a landmark and guide for proper ring constriction and septum formation in fission yeast. More information can be found at the NSF website. To find out more about her research, go to the Das Lab website.